Downtown Knoxville — Before the Vols took the field against Kentucky, Neyland Stadium was surrounded by cheers. 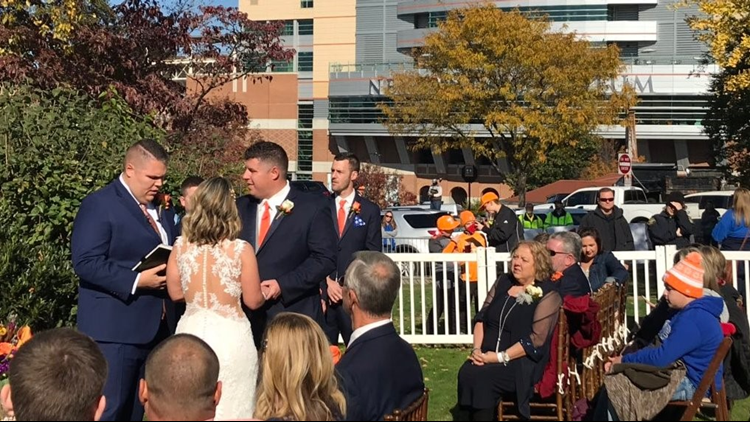 The local couple celebrated with 100 guests, and the wedding was officiated by Erik Ainge, former UT Vols and New York Jets quarterback. Terry Turner, owner of Tailgate Tennessee and All Occasions Party Rentals, says the giveaway was all in the spirit of fun and romance -- Big Orange style. "Nobody's fans are more passionate about football than Vol fans, and what better way to celebrate two loyal fans' love than with a tailgate in their honor?" Turner said.